Take heed to yourselves and to all the flock, in which the Holy Spirit has made you overseers, to care for the church of God which he obtained with the blood of his own Son. I know that after my departure fierce wolves will come in among you, not sparing the flock and from among your own selves will arise men speaking perverse things, to draw away the disciples after them. Therefore be alert, remembering that for three years I did not cease night or day to admonish every one with tears. And now I commend you to God and to the word of his grace, which is able to build you up and to give you the inheritance among all those who are sanctified. In the wake of the defeat of the Church and her teachings in New York with regards to homosexual "marriage", it is time to admit that the state of the Church in America is far from where it should be. The Church sorely needs our prayers. At every Mass we are asked to pray for our Church leaders. We should take this call seriously, because only God is going to be able to lift the Church out of the humbled state into which it has fallen. The Church is a home for believers. We are not required to be perfect, but we are required to accept the teachings of the Church. If the Church in America is to have any future, then it must strictly uphold its teachings and strongly condemn those who continually campaign within the Church for change that is in violation of her teachings. This type of active rejection of the Church's teachings from within can only be called by one name – heresy. The Church should never compromise its teachings and must be willing to face persecution if that is the price for protecting the heritage that has been handed down to us through the millennia from Christ, his Apostles, the Church Fathers and every martyr and saint of the Church right up to the modern age that we live in. On Nov. 23, 1927 Blessed Miguel Pro, S.J. 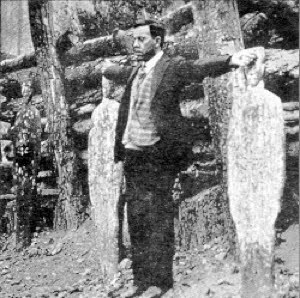 shouted “Long live Christ the King!” moments before he was executed by a firing squad in Mexico City. At age 37 and only two years ordained, he was condemned for ministering to people despite a government ban on the Catholic Church. You can read more about Blessed Miguel Pro here: "¡Viva Cristo Rey! Blessed Miguel Pro, S.J." Blessed Miguel Pro, pray for us; ruega por nosotros; ora pro nobis.